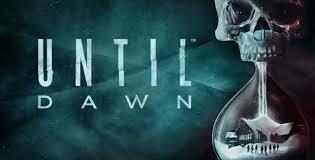 I recently played and, "Beat," the video-game, "Until Dawn," which can be found on the Playstation 4. I used quotation marks to discuss my finishing of the game because there are in fact numerous ways it can conclude depending on how well you play. You see, the plot of the game is that eight friends have returned to a big mansion up in a snowy mountain-region owned by one of the chum's parents. They are returning a year after an unfortunate accident where a prank led to two friends of the once-ten of them running off and apparently dying. Now, weird things are starting to happen and there may be a killer on the loose in addition to ghosts and all sorts of nastiness. Clearly, this is kind of a cliché horror yarn, but the intriguing twist in all this is how you are the one controlling the story by playing the various characters, and depending on the choices you make all of them could survive to the dawn, or none of them. A little under half of my characters made it, although one died literally less than a minute before the game ended and I felt kind of robbed, so let's say half survived. Here is some of the, "cast." Good luck keeping them alive. In order to keep your characters alive you need to be ready to tap buttons for the, "Quick Time Events," and make choices that I felt were at times a bit arbitrary and shouldn't have resulted in certain characters dying...although some things I did were just stupidity on my part and I fully, "Earned," some characters' deaths. I'm writing a bit vaguely about the game because a lot of the fun comes from watching the story unfold, and even if the plot is a bit obvious at times there are enough surprising twists to keep things relatively fresh. 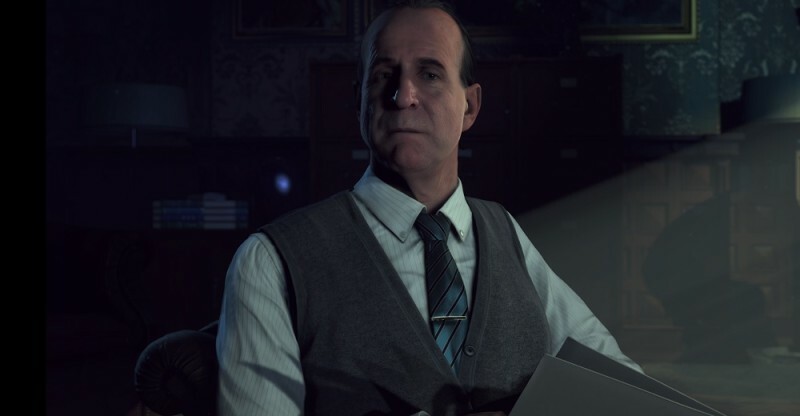 If I were to have a complaint, it would be that the controls can be a bit finicky during the parts of the game your character is being directly controlled by you and exploring the mansion or some other setting. The way the camera will occasionally shift to seem more cinematic compliments the stellar graphics and spooky mood well, but can make something as simple as walking around feel relatively uncomfortable and difficult. Peter Storemare turns in an incredible performance. Oh, and as for the actors themselves, everyone does a pretty solid job but the only person to really, get my attention is the amazing Peter Storemare (of various shows and movies) as a creepy psychiatrist who interviews the player between, "Chapters," of the game and starts out seeming a little intense before going full-on terrifying in his mannerisms and speech as things progress. 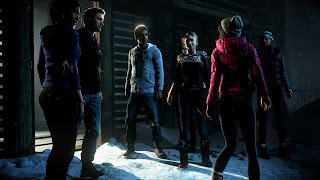 "Until Dawn" has a story that can be at times predictable and controls that will frustrate, but as someone who has loved previous cinematic games such as, "Heavy Rain," or the Telltale-produced, "The Walking Dead," seasons, I really appreciated what the creators were going for. Despite some irritations this still is a fantastic game and should you own a Playstation 4 I would encourage you to play it!